Failing surface water storages are adding to pressure on producers to destock as water-running rain remains elusive. 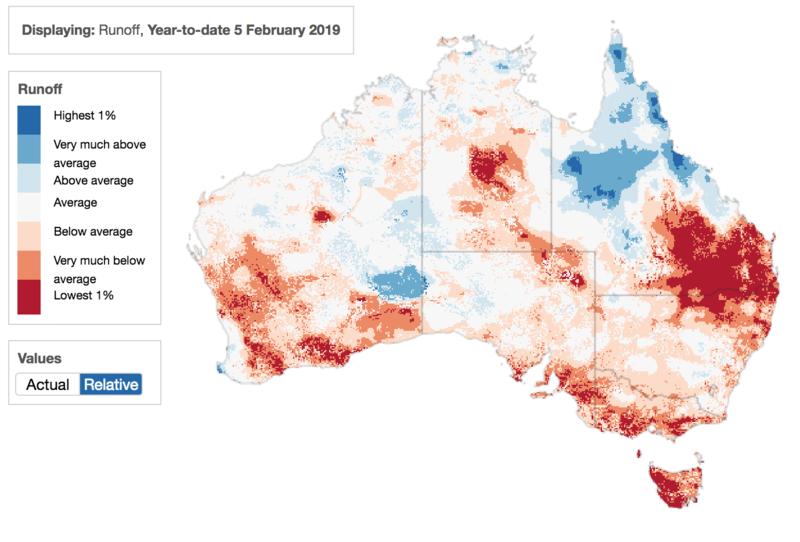 WHILE cattle producers in far north Queensland deal with torrential rain and flooding, further south stock water is drying up, increasing supply pressure on the cattle market. Relentless heat and dry weather and a lack of water running rain is taking a mounting toll, with more producers who lack access to reliable bores or permanent waterholes facing forced decisions to sell remaining stock. Grant Daniel Long principal Peter Daniel based in Dalby said many producers were now under “a lot of pressure”. “No one can remember the last time it was like this,” he said. The first weaners have now started appearing at the Roma and Dalby sales about a month earlier than they would usually be seen. Normally vendors would look to add further weight and sell weaners in March or later, but dry conditions are forcing their hand this year. Where producers do have feed and water they are trying to hold cattle until at least the end of this month to see what rain is forthcoming. Late February/early March is shaping as significant turnoff point for the market if conditions remain dry. “Everyone is trying to hold off throughout February because generally February is a good month for us to get some rain,” Mr Daniel said. Adding pressure to producer deliberations to hold or sell cattle are mounting feed bills and the rising price of stock feed. Cottonseed on the Darling Downs is now being quoted at well over $700 per tonne as it becomes harder to procure. 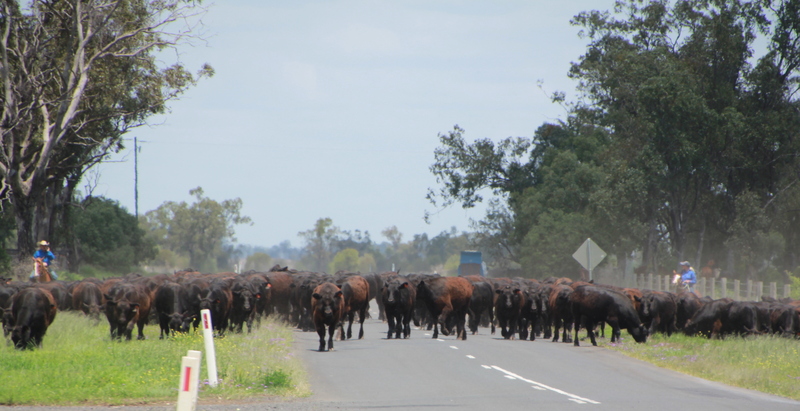 Feeder cattle on the road near Dalby, October 2018. With agistment options limited some producers have turned to stock routes for relief but space is also understood to be quickly running out. The Maranoa Regional Council told Beef Central this week that demand for stock route access has increased in the past week. It said 5600 cattle currently utilising the shire’s stock routes under four travelling permits and three agistment permits. The Roma-based council said it is currently reviewing a further three applications for travelling stock with phone calls being received each day from stock owners wanting to place cattle on the stock route network. Council Officers were currently undertaking pasture assessments across the region to assess capacity to take further stock. One big hope is that the drenching received in north western Queensland this week may create some restocking demand for cattle from further south when country is accessible again and the feed response is known. There is also hope that floodplains of the western Queensland channel country may see some benefit from this week’s northern rain in coming weeks and months, but flows have a lot of dry cracks and heavy Mitchell grass downs country to fill in before creating enough water for a flood. “There will be some water go through into the channels, but how far south it gets is what everybody is waiting to see,” Mr Daniel said. “Ideally if this one gets through a bit of the way and we get some follow up once all those cracks are filled in, it would be fantastic, that is the point we’re at now where we need that. More than 600mm has been received since late January at NAPCo’s Kynuna station, but conditions have not allowed any assessment of stock or fencing losses to this point. At very least, it will put some water into the Diamantina, a company spokesman said. The drier and hotter it gets the more valuable our Great Artesian Basin underground water bank becomes. Inland human and livestock [populations depend on this vital resource .Dam water becomes boggy and toxic from blue green algal blooms in droughts. The Qld Govt. allows unlimited take from the GAB by the mining sector . This is clearly insanely unsustainabe and inequitable. Agriculture cannot “co-exist” with the resource sector under these rules. WE are in conflict for water security.